A briefÂ update to this article (June 2011) is now available. Some exciting news regarding new online slots arriving in Q4 2010: WMS, the well-known land-based slot game manufacturer best known for their Jackpot Party progressive game and who also produce games such as the Zeus slot, Palace of Riches, Wizard of Oz and the amazing Adaptive gaming slots Star Trek and Lord Of The Rings are about to launch an online casino and bring some of these games to the online community. 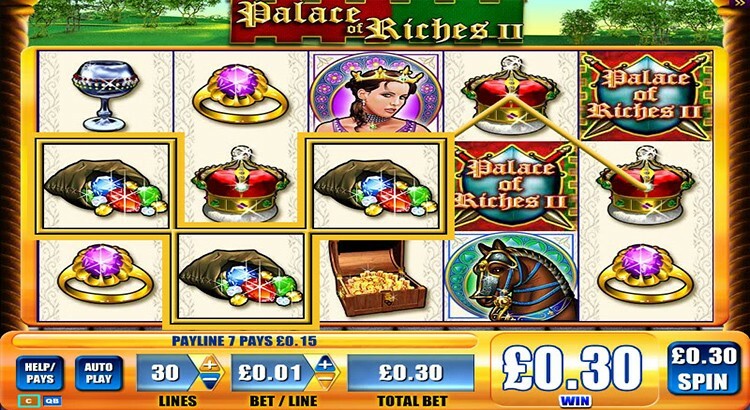 In Q4 2010, WMS launch a new online casino featuring Zeus (the original – Zeus II will follow probably in 2011 I’m told), Palace ofÂ Riches II, Enchanted Dragon, andÂ Samurai Master among other games. They will also have some video poker games alongside traditional casino games and are expected to expand their slots offering as time goes on by bringing onboard some of those familiar WMS slots that you will probably have seen in Las Vegas. For those unfamiliar with WMS games – and speaking as a UK player that will probably encompass many from this side of the pond – you really need to be checking these out. WMS compete for floor space in Vegas with IGT and in one or two casinos have already overtaken IGT in that area. They are responsible for the Super Respin slots like those mentioned above which have stacked wilds and free spins – as many as 100 free spins in fact – and are distinctive not only in gameplay but in their very audible sound palette! You’ll know what I mean when you hear them. The most popular slots in Vegas that WMS manufacture are probably Wizard of Oz, which comes in two flavours – “White Witch” and “Wicked Witch” – and the novel Star Trek slot game with it’s special chair that you sit in to play the game, complete with surround sound stereoÂ speakers built into the headrest! More recently, they also released a slot based on the Lord Of The Rings (not to be confused with Microgaming’s new online Lord Of The Rings slot) which also uses this special chair. I’ve yet to play that one but on my next Vegas trip guess where you’ll find me! Update, July 2011: The new Jackpot Party casino that hosts the WMS slots is very, very good but only accepts UK players as I write. No doubt this will change as laws around the world change to allow for regulation but in the meantime Jackpot Party is now my No. 1 casino in my Top 10 no-download casinos over on my TopOnlineCasinos.Org casino lists website.